Guy drops off a high dive board while strapped inside of a kayak. Submitted by monkey on Tue, 12/04/2012 - 12:31pm. 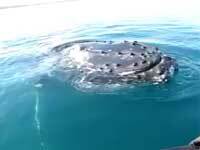 Father and daughter encounter a whale at a too close for comfort distance while out canoeing. Submitted by monkey on Thu, 11/29/2012 - 2:13am. Really well done and scary elevator prank terrifies people. Submitted by monkey on Tue, 11/27/2012 - 3:26am. Cool ice cream shop called iCream, where you create your very own personalized ice cream and they make it in seconds using liquid nitrogen. Submitted by monkey on Tue, 11/27/2012 - 3:15am. Arguably one of the best fake football punts ever. Submitted by monkey on Tue, 11/27/2012 - 2:38am. 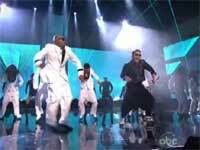 PSY takes Gangnam Style to a whole new level with MC Hammer at the 2012 American Music Awards. Submitted by monkey on Wed, 11/21/2012 - 2:12am. The new Assassin's Creed game comes to life in this awesome parkour video. Submitted by monkey on Tue, 11/13/2012 - 11:59pm. Skateboarder Matt Lane keeps trying to jump up five steps, fail after fail. Submitted by monkey on Wed, 11/07/2012 - 11:30pm. 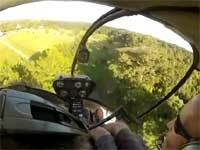 Two guys flying in a helicopter save an RC plane after they see it crash it into a tree. Watch this families face when they personally deliver it. Submitted by monkey on Fri, 11/02/2012 - 12:03am. 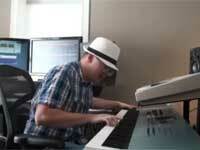 Ronald Jenkees returns after 4-years of not making videos and performs "Red Lemonade Remixed". Submitted by monkey on Wed, 10/24/2012 - 11:28pm.